GoldKey Phone Service provides extreme security for text messaging, voice calls, and video calls over Wi-Fi and cellular data networks. Secured by the award-winning b² cryptography, GoldKey Phone uses hardware-based encryption channels with authenticated users to guarantee privacy, even over public networks. If these communications were to be intercepted and examined through deep packet analysis, the data would be useless to the attacker. GoldKey allows Business Services customers to reserve blocks of numbers for their users. The numbers can be assigned and managed through the Business Services interface on the GoldKeyID.com website. Each user is assigned a secure GoldKey number, providing encrypted communication for phone calls, video calls, and secure messaging. 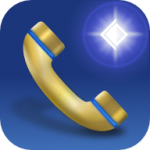 Use GoldKey Phone to make Crypto calls with anyone else who has the app. Everything is organized by conversation in an intuitive interface, so you can switch between phone calls and text messages, or even video sessions, easily. All communications are encrypted and hidden from data carriers, network providers, and hackers, even over unsecured or public WiFi hotspots. GoldKey Phone uses b² cryptography and two-factor authentication for trusted verification of users. Utilize WiFi when available and securely transition your encrypted call to cell service when WiFi is out of range. 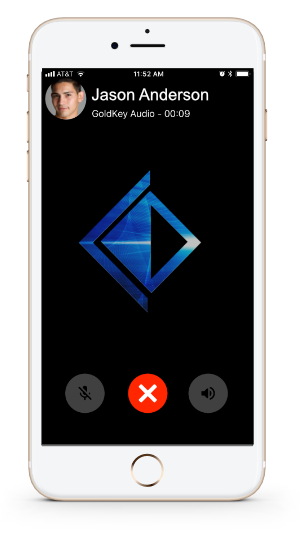 Take advantage of voice activated “crypto commands.” Just say “Crypto Call Andrew” or “Crypto Video Chat with Janet”, to launch the GoldKey Phone app and start the encrypted call. Conversation history is tied to your GoldKey ID account, facilitating secure sign in on multiple devices. The GoldKey Phone App can be downloaded to iOS & Android devices. Coming soon to OS X and Windows. 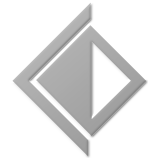 Copyright © 2018 CybrSecurity Corporation. All rights reserved.